The cast of STAR Plus’ longest running show, YehRishta Kya Kehlata Hai is all set for yet another outdoor schedule. The show will be taking a leap of 5 years post which Naira (formerly played by Ashnoor Kaur) will be seen growing up and staying away from her parents. Post the leap, the cast will be seen undergoing many changes. Rohan Mehra who plays Naksh on the show will be seen undergoing a complete makeover with regards to his look. The actor who is on the leaner side has been asked to gain weight to look older. 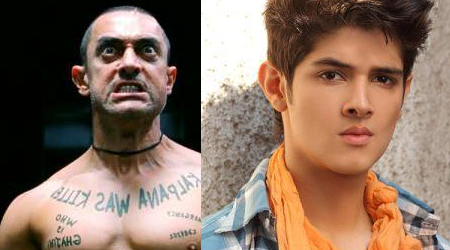 He will be seen sporting a look similar to that of Aamir Khan from the film Ghajini. “I have been a huge fan of Aamir Khan and as a child I was so I awe of his look that I had told my mom to get me a shirt with his picture which I used to wear at any given opportunity.” Rohan signs off. The actor also confesses to have taken on this challenge with a smile and ensuring that he achieves the given target much before time.